We’re pleased to announce the release of Octoparse version 7.1.0! 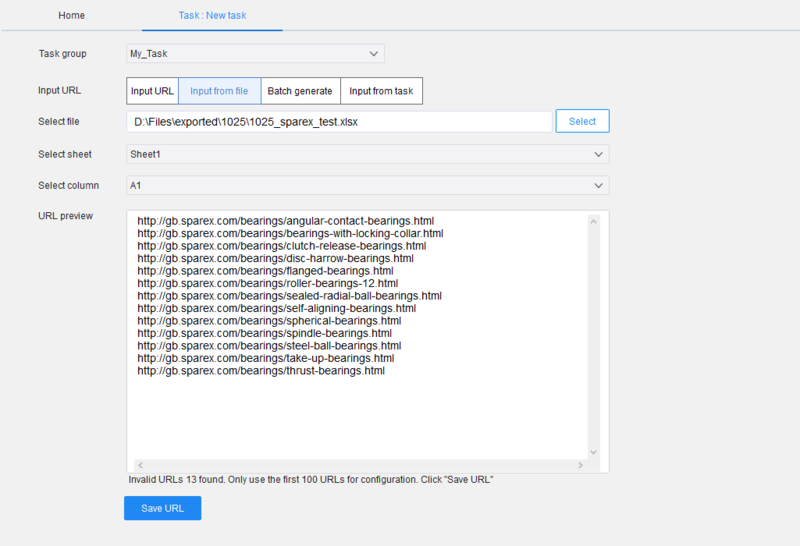 This release introduces a brand-new feature, Task Templates with ready-to-use tasks for extracting different types of websites, such as Amazon, Yelp, Tripadvisor, etc., and also includes three major updates to the dashboard, URL input features , and anti-blocking settings. Octoparse’s new Task Templates is designed to make web scraping easier and accessible for anyone. 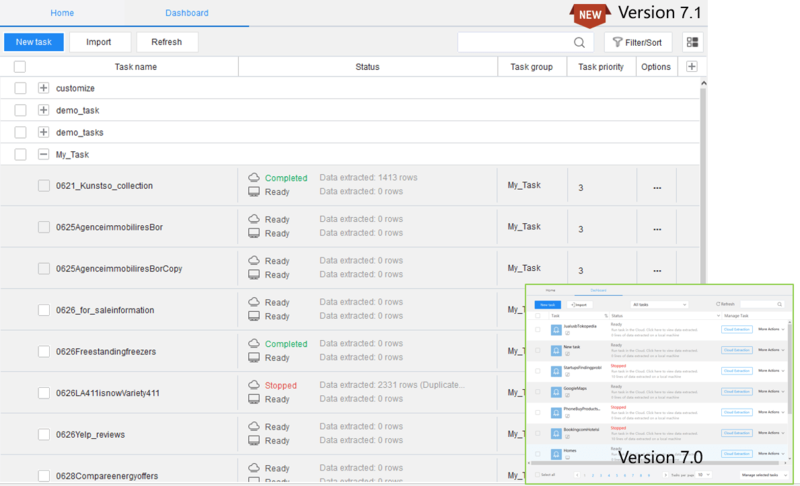 With pre-built task templates, there’s no need to configure the scraping tasks. 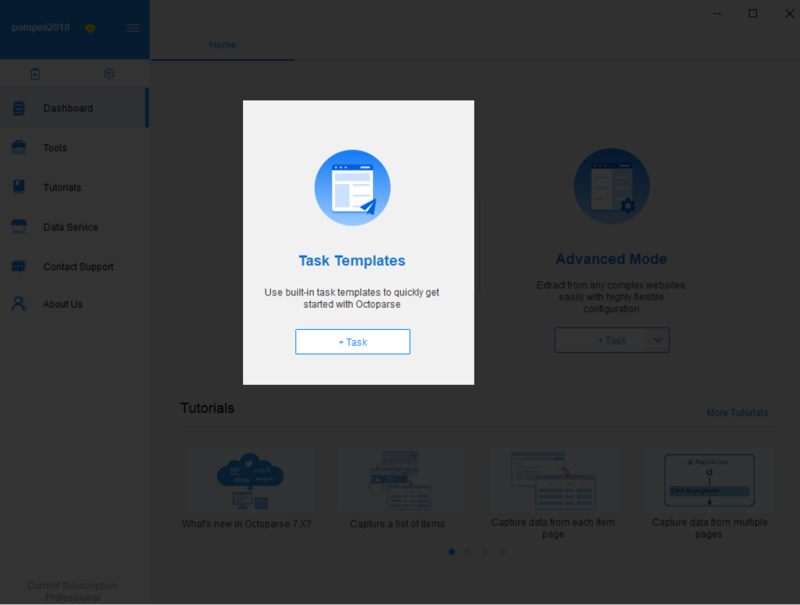 The ready-to-use task templates will shorten your learning curve and help you quickly get onboard. - How it facilitates scraping? With Task Templates , anyone without / with little programming knowledge are able to achieve web scraping very easily. 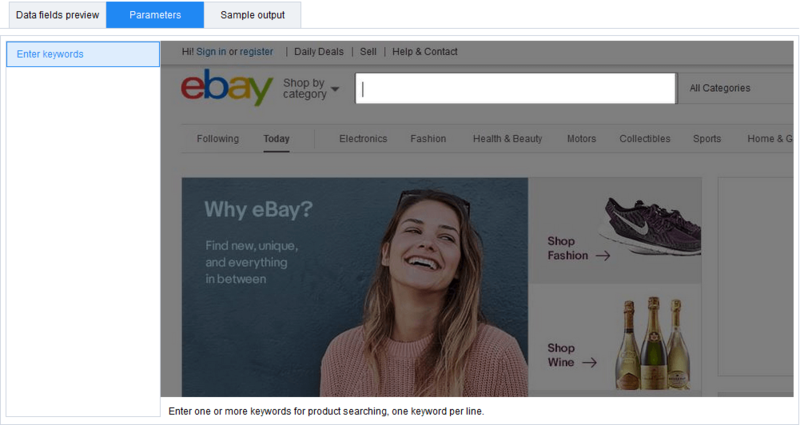 All you need to do is just to enter parameters (target page URL, keywords for searching, etc.). And then just sit back and relax! 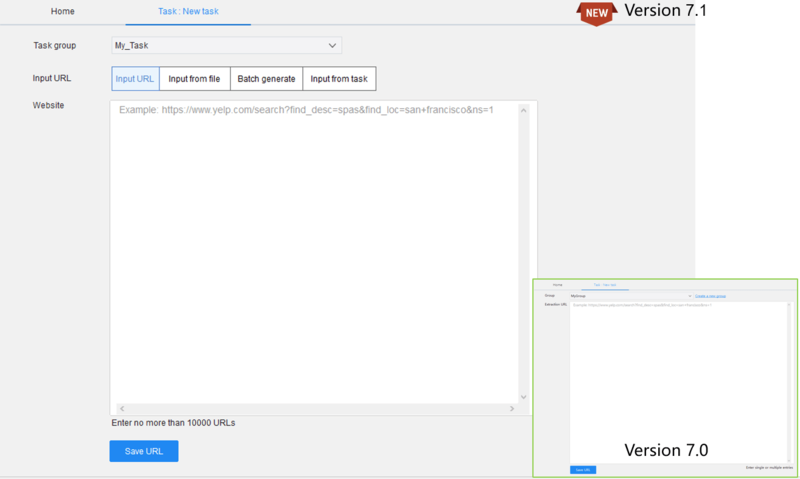 After selecting the desired template, you will be prompted to enter the required parameters, like the keywords to be searched through or the target URLs, then the scraper will work itself out to collect data from the website. Wizard Mode is still available. You could find it in the drop-down menu of "+ Task" under Advanced Mode. Compared to Dashboard in version 7.0, the new Dashboard layout is more informative, customizable and efficient. 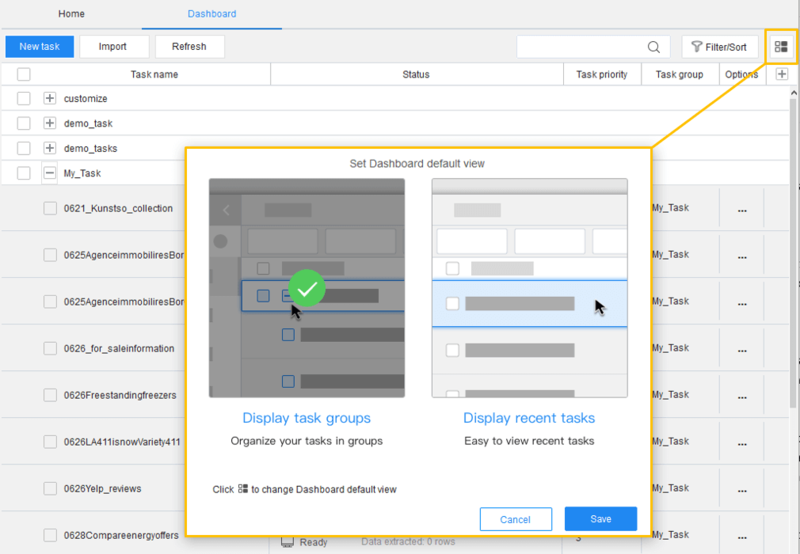 In version 7.1, you could completely change the look of your dashboard and the display order of your tasks. 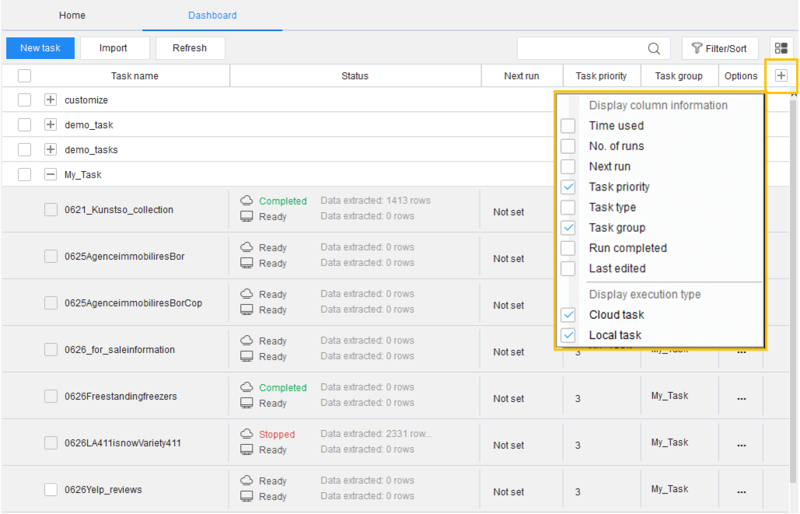 A selection of columns is provided for users to decide what task information you’d like to see. With the upgraded custom filters, with a very little effort you could have your own unique dashboard, or narrow down to one single task/a specific cluster of tasks. We've expanded the input URL limits from 20,000 to 100,000, and also introduced two new input methods for large scale data extraction projects. 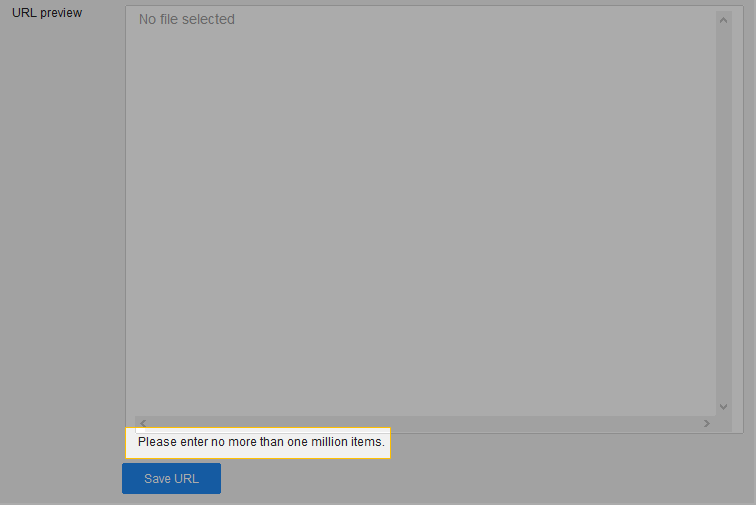 The maximum number of URLs allowed to be input at once is significantly raised. Compared to 20k URLs previously, now Octoparse supports for adding up to 1 million URLs to any single task/crawler. Please notice that the maximum number for the pasting-in method to input URLs is deduced to 10K. In version 7.1, you could import a CSV, TXT or Excel file, and Octoparse would intelligently read the URL data from the file. Two options are supported. 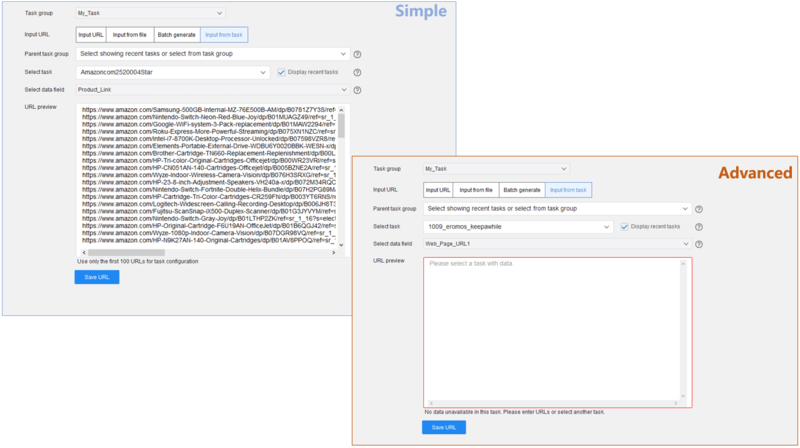 One is simple import, importing URLs from a completed task directly; and the other is advanced import, “transferring” URLs from a parent task into a child task in associated running. 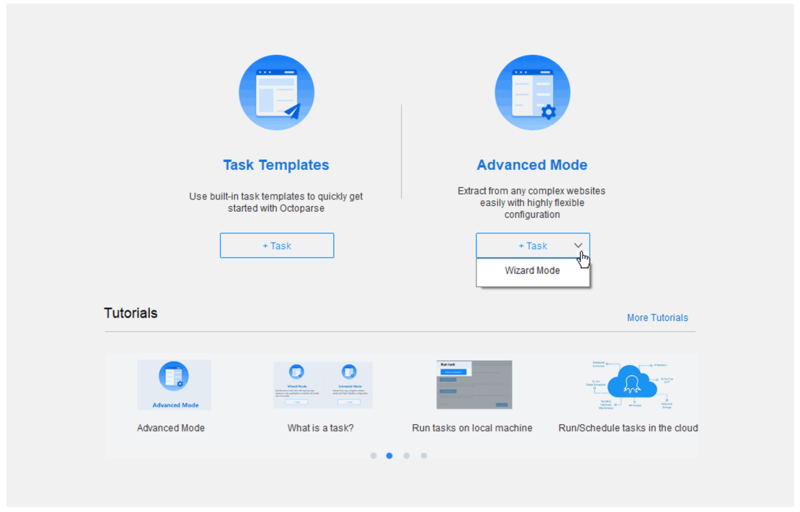 When two tasks are associated, Octoparse provides four execution options. 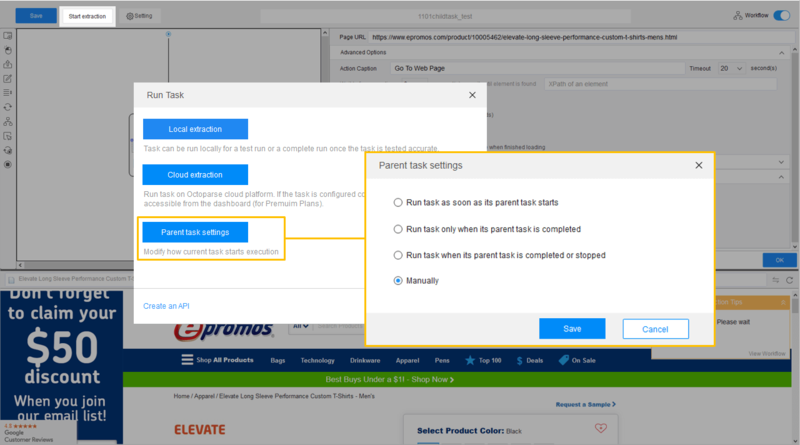 For example, if you select "Run task as soon as its parent task starts", then once Octoparse reads any URL extracted in the parent task, it would automatically transfer the URL into the child task and set the task to execute. 1. Advanced import is only supported by Octoparse Cloud Extraction . 2. When there is no data extracted in the parent task, to start configuring the child task, you’ll need to manually paste in one URL. 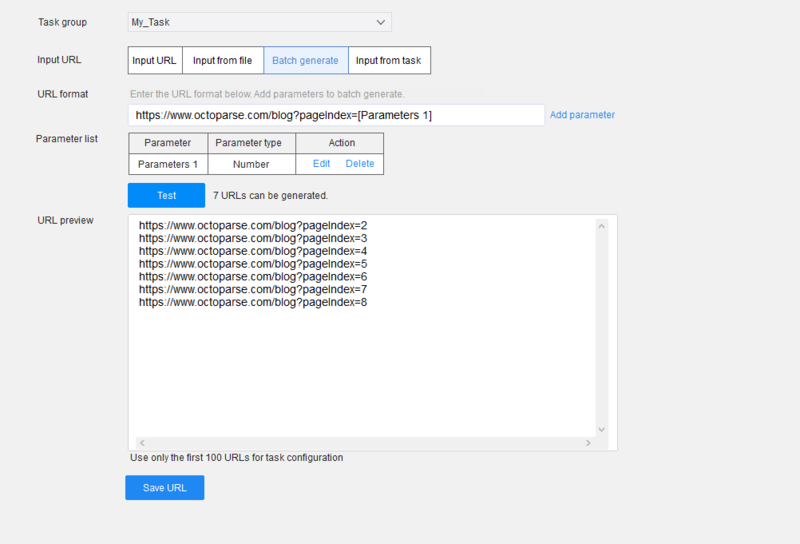 This feature allows you to easily modify the needed parameter/s in one given URL so as to generate a list of URLs that follows that pattern. Highlight the wanted parameter, click "Add parameter", and select from the four options to define the pattern you need. We have added two options to help reduce the chance of getting blocked by scraping-sensitive websites. 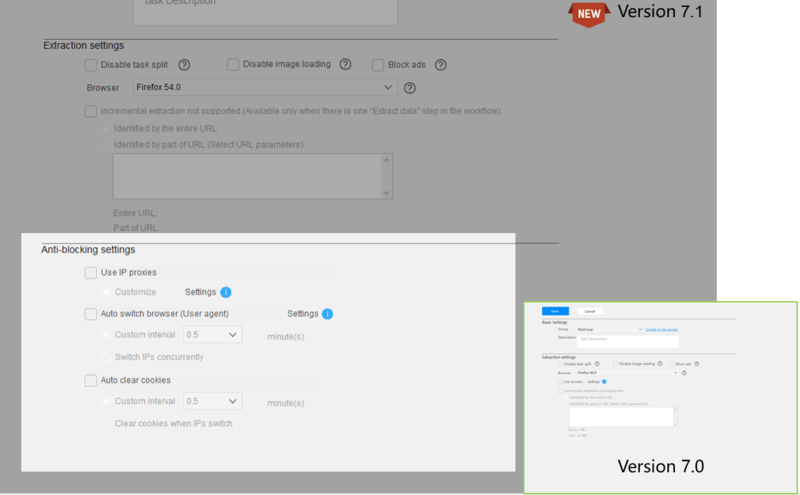 In version 7.1, now Octoparse could automatically switch UA and clear cookies for you.